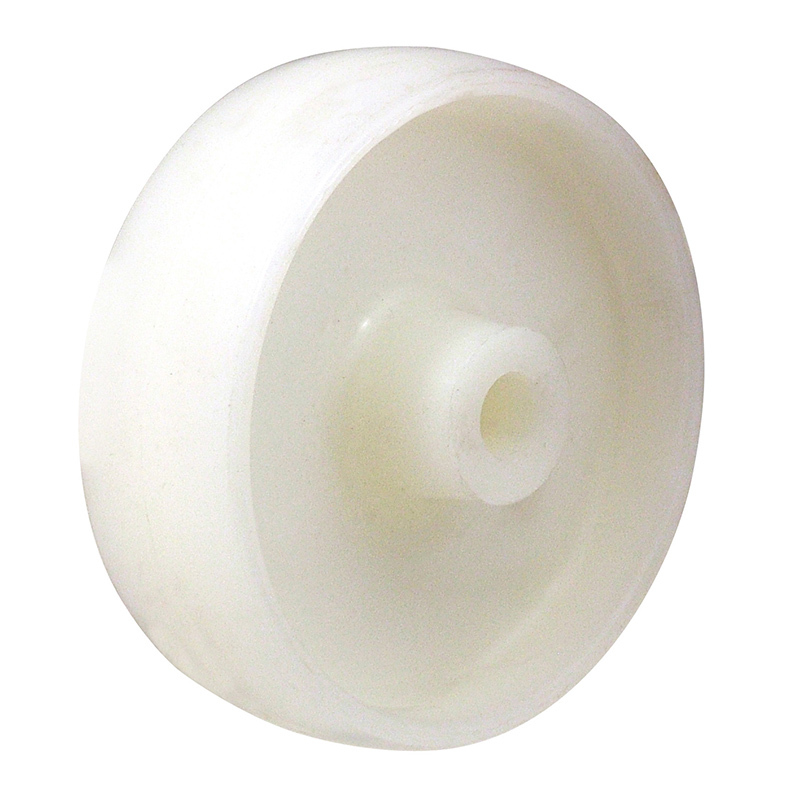 •	Load ranges from 75kg up to 1000kg per wheel. 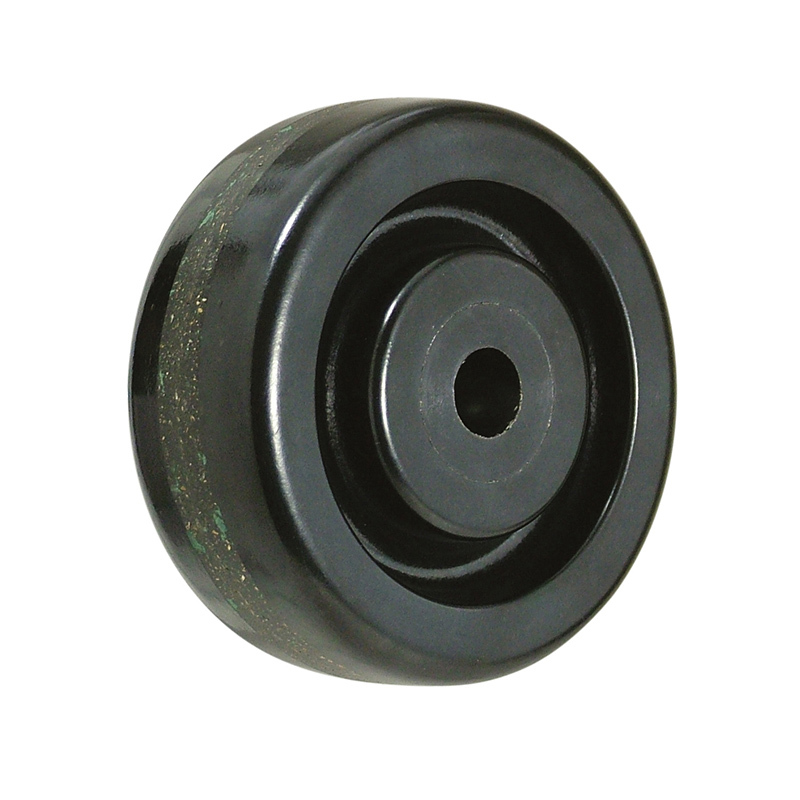 75mm diameter black phenolic high temperature wheel with a plain bearing. Tread width 38mm, bore 12mm, hub 41mm, temperature range up to 120oc. Load capacity 150kg. 100mm diameter black phenolic high temperature wheel with a plain bearing. Tread width 38mm, bore 15mm, hub 41mm, temperature range up to 120oc. Load capacity 305kg. 80mm diameter black Ditherm high temperature wheel with plain bore. Tread width 35mm, bore 12mm, hub 40mm, temperature range up to 300c. Load capacity 150kg. REACH compliant, RoHs Compliant, USDA approved FDA approved. 100mm diameter black Ditherm high temperature wheel with plain bore. Tread width 35mm, bore 12mm, hub 40mm, temperature range up to 300c. Load capacity 160kg. REACH compliant, RoHs Compliant, USDA approved FDA approved. 125mm diameter black phenolic high temperature wheel with a plain bearing. Tread width 38mm, bore 15mm, hub 41mm, temperature range up to 120oc. Load capacity 395kg. 100mm diameter black Ditherm high temperature wheel with a plain bearing. Tread width 35mm, bore 12mm, hub 40mm, temperature range up to 300oc. Load capacity 180kg. REACH compliant, RoHs Compliant, USDA approved FDA approved. 100mm diameter blackDitherm high temperature wheel with plain bore. Tread width 35mm, bore 15mm, hub 41mm, temperature range up to 300c. Load capacity 180kg. REACH compliant, RoHs Compliant, USDA approved FDA approved. 75mm diameter brown phenolic high temperature wheel with a plain bearing. Tread width 38mm, bore 12mm, hub 41mm, temperature range up to 250oc. Load capacity 75kg. 125mm diameter black phenolic high temperature wheel with a all steel roller bearing. Tread width 38mm, bore 19.1mm, hub 56mm, temperature range up to 120oc. Load capacity 395kg. 100mm diameter brown phenolic high temperature wheel with a plain bearing. Tread width 38mm, bore 15mm, hub 41mm, temperature range up to 250oc. Load capacity 305kg. 150mm diameter black phenolic high temperature wheel with a all steel roller bearing. Tread width 51mm, bore 19.1mm, hub 56mm, temperature range up to 120oc. Load capacity 540kg. 125mm diameter black Ditherm high temperature wheel with a plain bore. Tread width 40mm, bore 15mm, hub 45mm, temperature range up to 300c. Load capacity 250kg. REACH compliant, RoHs Compliant, USDA approved FDA approved. 125mm diameter black Ditherm high temperature wheel with a plain bore. Tread width 40mm, bore 20mm, hub 48mm, temperature range up to 300 c. Load capacity 250kg. REACH compliant, RoHs Compliant, USDA approved FDA approved. 100mm diameter red Ditherm high temperature wheel with a plain bearing. Tread width 35mm, bore 12mm, hub 40mm, temperature range up to 350oc. Load capacity 180kg. REACH compliant, RoHs Compliant, USDA approved FDA approved. 200mm diameter black phenolic high temperature wheel with a all steel roller bearing. Tread width 51mm, bore 19.1mm, hub 56mm, temperature range up to 120oc. Load capacity 725kg. 150mm diameter black Ditherm high temperature wheel with a plain bore. Tread width 45mm, bore 20mm, hub 58mm, temperature range up to 300oc. Load capacity 300kg. REACH compliant, RoHs Compliant, USDA approved FDA approved. 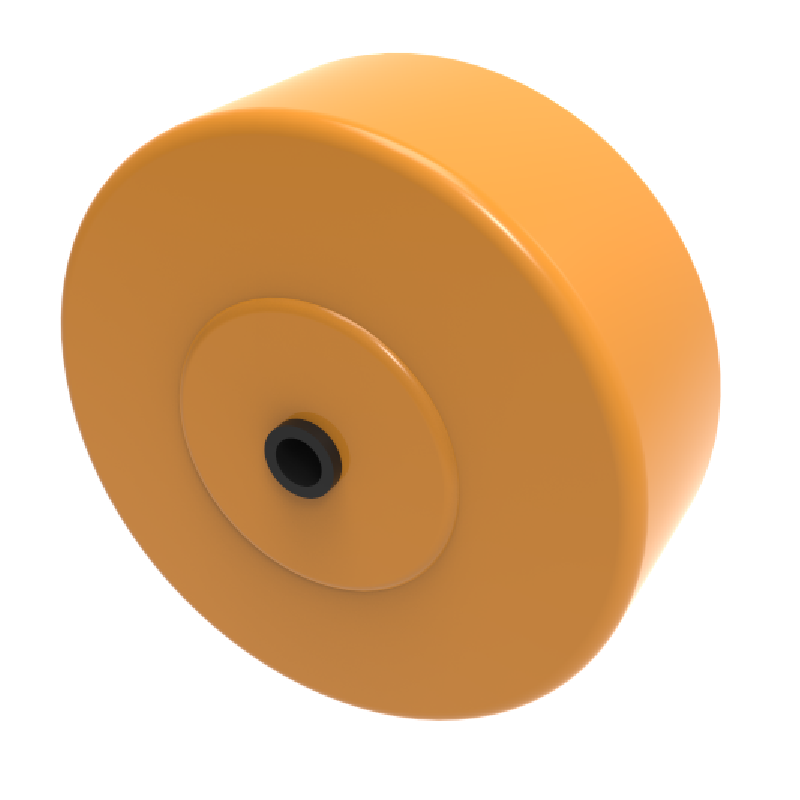 250C Orange epoxy resin wheel with ball bearing. Diameter 100mm, tread width 38mm, bore size 8mm, hub length 45mm. Load capacity 160kg. Max temperature continuous 250c Max temperature intermitenet 285c.